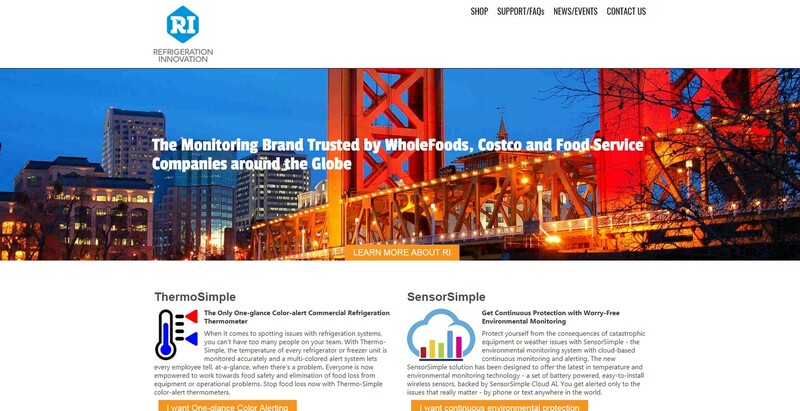 Refrigeration Innovation is the parent company of ThermoSimple and SensorSimple, both of which we built. We originally built the ThermoSimple site which we initially had as the e-Commerce site. With the addition of the SensorSimple site to market that range of product, I suggested to Troy (the owner) that we build a site for the parent and move the e-Commerce to it. It was easy to move the e-Commerce extension to the RI site and cetralize all sales there.